Airspan’s 5G solutions allow mobile operators to meet the wide range of challenges by providing the tools to fully exploit advanced technologies such as mmWave, Sub 6GHz, Massive MIMO and open V-RAN architectures. Airspan’s phased approach helps operators monetize their 5G assets and services by taking advantage of the extensive 4G device portfolio, ahead of the proliferation of 5G device ecosystems, to support deploying advanced 5G access solutions today. 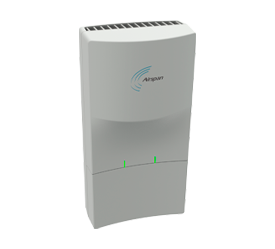 Airspan’s 5G portfolio includes the Air5G Remote Unit (RU), the Air5G Remote/Distributed Unit (RU/DU combination), the Air5G AirUnity RU along with the Air5G MEC platform to bring effective 5G Access to today’s 5G and 4G networks. 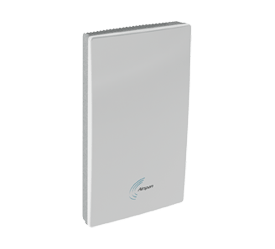 Airspan’s Air5G RU provides 5G-NR Sub 6GHz outdoor access, consisting of the Remote Radio Unit (RRU) with an integrated massive MIMO antenna array of up to 64×64. The Air5G RU supports multiple ORAN, 3GPP and Small Cell Forum splits for deployment flexibility in an open interface architecture. The Air5G RDU is Airspan’s 5G-NR millimetre wave (mmW) vRAN Outdoor solution, consisting of both Radio Unit (RU) and Distributed Unit (DU) running in a single enclosure to minimize space and zoning considerations. The DU interfaces with the Central Unit (CU) over multiple split options while the RU consists of an integrated mMIMO antenna array of up to 128×128. Air5G CU (Centralized Unit) is located at the data centre and manages the Air5G RU and Air5G RDU as follows the ETSI standard architecture. Our vRAN centralised unit operates as a VNF in the architecture using open platform APIs to interact with any NFVI or Cloud Platform. Open North Bound Interfaces eases the connection towards any OSS vendor while also being managed by the Air5G Netspan platform. Expanding on the award-winning AirUnity, the AirUnity 5G bridges 5GNR networks with 4G devices to enable the broad monetization of 5G services even in the absence of widespread 5G devices. 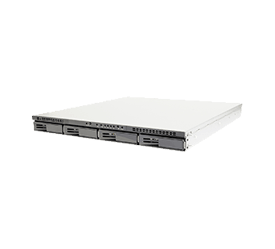 This plug-and-play unit provides support for enterprise, consumer and Fixed Access applications in a completely self-contained, secure and proven format – de-risking operator 5G deployments.